Epic – pertaining to a long poetic composition, usually centred upon a hero, in which a series of great achievements or events is narrated in elevated style. In recent years cinema has returned to a world of spectacle both on screen and also within the soundtrack, earth-shattering, frenzied, explosive and inspirational themes. 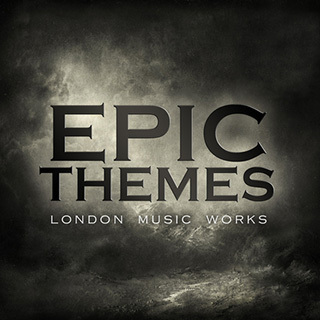 Epic Themes gathers together the very best of these exciting scores, all instantly recognisable not just for their film use but also for trailers, TV soundbeds and video games. Nineteen tracks to lift the heart and stand proud including music from Inception, Tron: Legacy, The Dark Knight Rises and Interstellar.